Driving After One Drink in Arizona - After One Drink When Can You Drive? Have you ever heard the saying “it’s only one drink, it won’t hurt” while out with friends or at a social event? Well the truth is it really matters where you are. Each state can initiate and maintain their own legal clauses and what significant factors could be used against the citizen. In Arizona there are advertisements on the zero policy for driving drunk. This is because Arizona is ranked as one of the highest DUI states in the United States. But in reality, all of the states follow the same Blood Alcohol Concentration (BAC). The United States has the standard BAC for DUI at .08 grams of alcohol per deciliter of blood 9g/dL). In Arizona there are specific clauses that will affect the outcome for a drunk driver. Factors like the medication a person takes, if there was any danger that resulted in the initial police contact and the pass or fail of the physical or cognitive test. The law enforcement agency that pulls over the driver will often perform these tests to ensure the driver is in fact under the influence of some sort of drug or alcohol. If the person fails, the initial physical/cognitive test or has an intoxicating odor wafting from their breath the officers may opt to the next test such as the breath and blood metabolite test to confirm the person is under the influence of alcohol and what percentage and/or drugs. If you have just one drink you are more likely to receive a simple traffic ticket rather than a full-blown DUI criminal misdemeanor. A person’s metabolic number may vary depending on many factors. If you and your spouse went out for dinner and each had one alcoholic beverage and were to be given the tests the results could be very different even though you both drank the same amount at the same time. People process alcohol differently in their bodies depending on certain factors such as body weight, the BMI of the body weight, what they ate with the alcohol, the liver health, dehydration and other physically alternating factors. The Arizona law specifies that time is also a factor in determining the influence level and the blood alcohol level. The law states that the DUI is valid if the person tested at the .08 or more and was proven to have been in physical control of a vehicle. The .08 percentage gives leeway for those who like to enjoy an alcoholic beverage in social environments or with a meal but then need to drive afterwards. The blood alcohol has a half life which is where the blood breaks down the concentration with time. The longer you stand around chatting with friends the more alcohol is working its way out of your system. You can still receive a DUI if you have drugs in your system or have an alcoholic level higher than what the law considers being under the influence at. If the vehicle is a commercial vehicle the rules do change. The law does not want anyone driving a commercial vehicle to hold a level of .04 or more if they were to perform a test for law enforcement. A commercial vehicle usually transports passengers or valuable material, so it is understandable for the law to be different. This is unfortunate for those who get off work and want to grab a beer with some friends and watch the game. The charge for a regular DUI is considered a class 1 misdemeanor. The DUI charge also affects the status of your driver’s license validity. Check out this article from our past blog discussing the details: ____________________. When people are driving after only having one drink and waiting the 2-hour time frame before doing so, they are much less likely to receive a DUI than someone who has had a few too many. Unless there is a checkpoint or there is a holiday most stops that end in DUIs started as simple traffic stops, so make sure you abide by common traffic laws and constantly check that all of your lights are working and that your tags are up to date. In Arizona one traffic law is that you must have a license plate light. If you get pulled over for some small reason like this and the officer smells any hint of alcohol or suspects that your bloodshot watery eyes came from drug use, he has the right to start the multiple DUI tests. 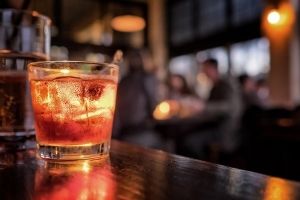 A consequence of one drink compared to three could be a lot larger than the bill at the bar. Click here for information marijuana dui laws in Arizona. What Happens When You’re Facing Underage DUI Charges?